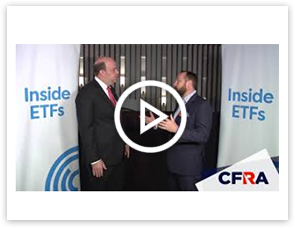 Delivering broad coverage of ETFs and mutual funds to help advisors make informed investment recommendations and deliver clear insights to clients. Advisors often develop investment strategies to help their clients reach goals that are years away or even decades away. Does it make sense to use research based exclusively on past performance to analyze mutual funds and ETFs and make informed investment decisions? In addition to looking at past performance, CFRA also considers factors that could drive the future value of mutual funds and ETFs. This includes analyzing the quality of — and risks associated with — stock and bond holdings. CFRA’s research will help you clearly understand how these factors can impact performance over time. Funds are ranked using both fund attributes and holdings-level analysis. Fund attributes use relative performance and risk records, PLUS manager tenure and cost factors. Holdings are scrutinized based on proprietary valuation and risk traits. CFRA has one of the largest, most experienced and respected research teams in the industry. You can rest assured that research from CFRA has been developed and reviewed by top-tier professionals. Data and analysis of more than 1,860 equity and fixed income ETFs based on proprietary forward-looking analysis. More than 22,000 U.S. and global funds covered. Includes pertinent trailing and forward-looking indicators based on an assessment of the underlying portfolio. Easy to search by ranking, expense ratio and historical performance. Shows breakdowns by asset type, sector, sub-industry and top ten holdings. Some research firms also act as asset managers. CFRA delivers independent research. We focus exclusively on research because we don’t think it’s right to compete with our clients. These case studies illustrate how CFRA’s proprietary research approach can present a different perspective of a mutual fund’s future potential. The Benefit: This fund earns a five-star rating because CFRA views it as an attractive, strong performer. This fund earns a higher star rating at CFRA than from other rating sources. Why: CFRA’s proprietary research methodology helped uncover many positive attributes not considered by other research firms. 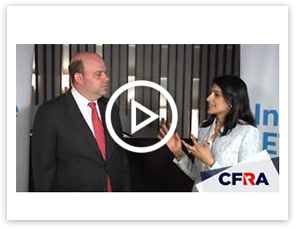 CFRA went beyond past performance data and uncovered positive indicators and value metrics which pointed to greater future potential. Bottom line: CFRA believes this fund is a solid five-star offering. 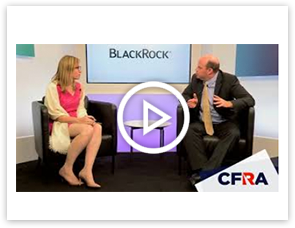 From CFRA’s perspective, this fund is viewed as a winner. CFRA Vitals provides an innovative way to promote your fund and ETF performance and can be a revenue-generating expense for fund marketers. Many mutual fund and ETF marketers are looking for a better rating alternative. CFRA Vitals provides independent ratings that will highlight the value of your offerings based not just on past performance, but also on other factors that will impact future value. 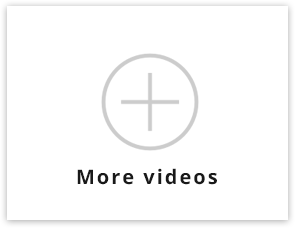 Check out these videos which offer a future-focused perspective on ETF investing.